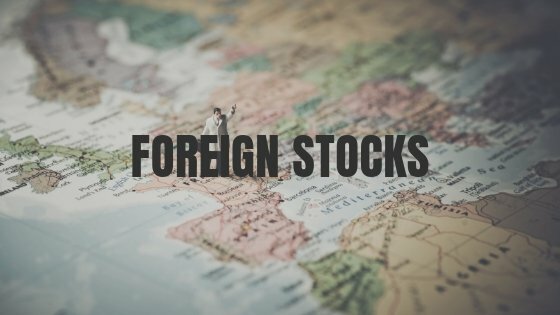 Although investing in foreign stocks can take you out of your comfort zone, it isn’t necessarily a bad thing. Investing in foreign listed stocks can be beneficial for many reasons. One great reason is diversification: whether it’s diversification of assets or currency. The benefit of this is obviously to spread out investment risks. Dealing in a plethora different currencies will help you cancel out global currency fluctuations. Another obvious reason could be just to keep your money ‘offshore’. There are thousands of Major Corporations overseas, such as South Korea for electronics, Brazil for steel, Australia for mining and USA for technology. Some big corporations and brands have given investors incredible rates of return! 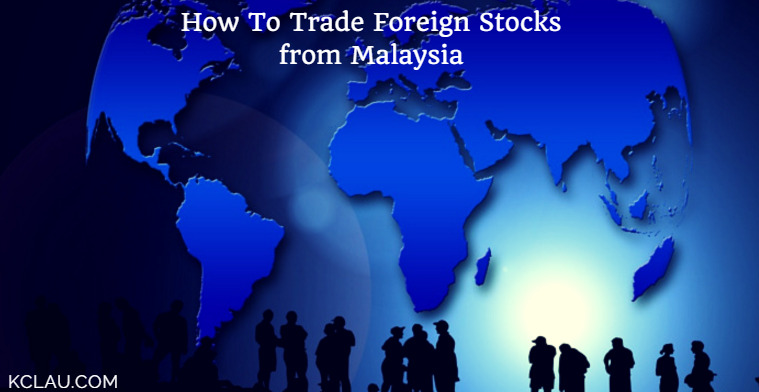 There are basically two simple ways you can trade in foreign shares. Open a trading account in the country where the respective stocks originate from. So for instance, if you want to invest in an American company, open a trading account in the US to buy stocks at the New York Stock Exchange (NYSE). In this way, you can keep your transaction costs to a minimum. Open a global trading account in Malaysia associated with the local investment banks and security firms, and purchase foreign share. The location of your assets will be considered local although technically your money in invested overseas. This provides convenience, especially when taking money out to fund your retirement, or transferring your wealth to your children. You’d be surprised at how many brokerage firms and investment banks there are in Malaysia that aid in foreign investment. So here are just a couple of prominent banks that provide global share trading. This is by no means an exhaustive list, but just an example of the diversity and their rates and services. Commission: Less than RM100,000: 0.06%, More than RM100,000: 0.30% of contract value. HKEX: 0.06% for initial HKD40,000, 0.5% for >HKD 40,000, HKD 50 min. Dividend Reinvestment/Handling RM2-65 per payment/ dividend cheque. LSE (London): 0.70% on initial GBP 100,000, 0.50% of >GBP 100,00, 0.40% or GBP 35 min. LSE (London): 0.50% or GBP 35 min. Needless to say, there are lots of stock brokers out there. The only way to find a suitable one for you is to actually do your homework on them! For instance, my friends from Intel Penang use Ameritrade. Their unbeatable fees and various other facilities, like 3rd party research, makes it highly trusted and efficient! On the other hand, Interactive Broker is highly recommended by Peter Lim, trainer of Bursa Method, for its low interest margin financing facility. In contrast, I personally use Wells Fargo Trade because I have an account there when I stayed in the US between 2011-2012. No matter which brokerage firm or method you use, it is important to invest safely in good companies. Don’t speculate. Do research and invest safely based on value investing method. Want to know more info? Check out my course Bursa Method and Invest Foreign Share. « Previous Post Urgent Decisions To Make To Survive 2016 Financial Challenges Next Post » Why Should You Listen When Your Mother Sets You With A Financial Goal? 80 replies to "How to Trade Foreign Stocks from Malaysia"
TD Ameritrade, US shares transferred to TD Ameritrade Asia. I have the opposite problem, I would like to trade Malaysian stocks but I do not know what would be a good online brokerage to do so. Currently, I live in Malaysia and I trade US stocks. Can we trade us stocks like option trading through “Interactive Broker”? According to Interactive Broker we have to wire transfer the initial money deposit. Do the Bank Negara Malaysia or the bank let us do that to send money oversea? Last question, the profit that make oversea, do we have to report and pay government tax? what are the tax implications for an investor to invest in US stocks from Malaysia? Also is there any limit cap of investment in a financial year? There are no capital gain tax for Malaysians to invest in US stocks. But the dividend will have withholding tax. Boss, do u hv class of trading foreign stock by using interactive brokers or others platform?? Can you also include HKEX in the costs column? can malaysian trade future using foreign brokerage? as i concern, money would be blocked if the Tele- Transfer profit was from future. Just learn that TD Ameritrade no longer doing business with Malaysia. And I just learn that all my stocks were liquidated. Wondering if you still able to keep the US stock trading account like TD Ameritrade, Etrade? I just tried doing a TT over the counter at HSBC today. They refuse to transfer to Interactive broker due to not being approved by BNM. Asked me to contact BNM directly to get approval. Anybody experienced this b4? Is there any course or training on index option trading on US market in KL ? I don’t have any course on technical trading. CFD Trading is now very popular in Singapore, with IG Trader and CMC Markets and City Index which are trusted and reputable. The best platform is still LCG London Capital Group, but then LCG is being delisted from AIM and taken private. Other CFD Traders which I found out to be SCAM and not trusted such as XTrade, Plus500 and AVATrade. For FX trading in Forex, a reputable one should be FXTM. Btw, retail investors can definitely short US stocks through thinkorswim. the interest is steep often more than 10% pa but of course also depends on the stock. I am a Malaysian living in Hong Kong. From reading the comments, I get the impression that it’s not easy for Malaysians to trade the HK market. Is this observation close to reality? To trade specifically in HK, the local Malaysia Public Bank provide a good solution, since they have branches in HK too. U are saying dat, Public Bank provides the best solutions? Other than Public bank. Which bank can i buy the HK stock market? We can use CFD (Contract for Difference) Broker / Trading Platform to trade the price movement of US stocks, not the real stock. Example, CFD have a Leverage effect, say you buy a US Stock at USD150, using CFD Leverage you only pay USD15 to buy a share. Using CFD you can Go Long or Sell Short. There are many CFD Broking Apps available, such as ThinkorSwim, IG Trade and Interactive Brokers. Do one have to open 2 separate accounts for stock trading and another for futures trading on foreign shares ? Also, can a Malaysian shortsell foreign shares, because for BURSA, it is supposed under RSS. All in all, it is more convenient and overall cheaper to just open a trading account in the US for the transactions above ? You need separate accounts to trade derivatives, or foreign shares, or local stock. I am not sure if we can short-sell foreign stocks with a local account. From the above, I noticed that you’ve included RHB Invest and SJENIE as having the London Stock Exchange. Can you confirm if they do provide LSE ETFs? Are these foreign share trading allow Malaysian to short the share as well? Another silly question, any available platform which provides foreign option trading? Having same question as yours if Malaysians can short US shares ? Isnt there a BNM rule that states that Malaysians can only trade securities with a locally regulated brokerage firm? I’ve heard non US citizens like Australian people using Interactive Broker unable to short US stocks. Is there discrepancies between US citizens and non US citizens using Interactive Broker ? Not sure about that. Better ask Interactive Broker support team. Do Malaysians who invest in Canadian stocks get to be a permanent resident there? Can trade Canadian stocks with the local brokerage firm that offer such service. Or you can open foreign trading account with international brokerage firms like Interactive Brokers. About the PR status, I don’t know anything about it. When your money go overseas, it is not regulated by the local authority anymore. So you will have to trade at your own risk. I have a question regarding ASX. I would like to sell and let go all my shares. Can you suggest to me any way to do that? if i need to go through a broker, may you suggest one? thank you. Do you have online/overseas transaction fees/brokerage commission for NASDAQ? i use ameritrade previously. 9.90USD per transaction. Hello. I just learned that BNM does not allow deposit to TDameritrade anymore. Bummer. Any other option? Not all banks forbid that I think. You can try different banks especially the oversea banks operating here. Most of the times, they need you to show the document proof of your overseas account. For method 1, open a trading account, you mean like “Fidelity investment”? just reading your article and i have a question, if we using us broker(exp ameritrade) it will be charge 30% tax for each dividend distribution ,and how to we claim back the interest? Could u please comment on financial.org? It provides auto trade and big margin to trade in Nasdaq. This company based in London and one of the F1 William Martini sponsor. Hi Sadruddin, I don’t use it so have no experience to give comment. Financial.org is an educational platform. They DO NOT deal with securities and receive any financial benefits from Financial Products & Service Providers. Hi, KC. Thank you for sharing. To trade in US market, will you suggest to open an USD account in Malaysia first, for all the wire transfer and withdrawal. Which bank will you suggest? Hi KC, I am ex-intellier holding their stock option and wanted to sell off. somehow the Intel support are not straightforward therefore I am asking if you have the knowledge of how I can sell my stocks in Malaysia. Tq and appreciation your reply. Normally, the trading account created for you by your employer is still valid after you left. I suggest that you talk to the HR department to get more info. Hi, KC. Nice to meet u. Do u have any opened talk bout basic stock invest in somewhere at selangor state? Hi Kayson, I seldom do physical seminar talk. But you can check out my online courses. Your articles is awesome & I forwarded to others friends too. Will write an article soon about the overseas broker, for e.g: Ameritrade, Interactive Broker & Wells Fargo? How I can I trade the small penny dreadful stocks on the ASX if I am Malaysian. I only like up and coming companies and many of these are not covered by brokers. So..is there any way I can get a platform to make my own trades without having to ask a broker to do this for the ASX only? Hi. Please advise if there is any withholding tax on dividends if I invest in hk or us market? Also which way is more cost efficient to trade foreign markets? 1. if the fees in the table above are still valid? 2. when we sell to cash out and TT money back home, will we be subject to withholding tax? 3. when we TT money back to malaysia, will we be subject to any taxation locally? 1. Fees schedule might not be the latest – it is subjected to change. It is best you verify with the service providers. 2. That depends on the country of your brokerage account, and the tax law. I am not an expert in this and you will have better info if you ask directly from the service provider. 3. Local Malaysia government don’t tax money made oversea yet, as I know. But that may change also. It is best to consult a local tax accountant. How can one buy shares of other countries like the UK, TSX, or even the latin american corps ? Hi…I got us share in rhb invest….recently was giving dividend…but there was dividend handling fee amount of 2.61usd instead of net dividend amount 4.64…may I know how to calculate the fee? I think dividend handling fee is charged by your broker. You need to ask your broker about the charges calculation. Hi KC, would like to know if tax is applied to capital gains from US market investment, does malaysia inland revenue board impose any of this? As far as I know, capital gain made in the US market is taxed if you are a US resident, and being taxed by US government. If you are Malaysian making capital gain from US share market, there is no tax since Malaysia government don’t tax capital gain. Check with your accountant to verify. suppose i open a local malaysia account denominated in USD, i should be able to wire in USD from my account to ,say, ETrade directly without conversion charges, correct? If this is so, are there any hidden tax or issues related to this method, and receiving dividends and capital appreciation from USA to here in Malaysia? Where do you think i can get a professional advice on this? thanks, your articles are very helpful, keep the sharing alive! I am not sure of all this. I think you should be able to check with the bankers providing this service. I am planning to open a HK broking account. Just wondering if you know of any broker in HK? Hi Keith, sorry I don’t know any broker there. HI KC LAU, first of all, thanks for the knowledge. a question here, I heard my friend said it is hard to transfer money to oversea platforms such as IB and another platform because these platform involved in forex trading, and some of this are listed in BANK NASIONAL MALAYSIA that we couldn’t transfer money to their bank. do you have any other ways to do that ? Hi KC, thank you very much for sharing your knowledge, I have one question, is trading with non local bank but with website like etoro the same? I heard that you can buy and sell stock in that website but I am doubting is that kind of website really giving you real equity or is it just a platform simulating synthetic purchase and did not go through the stock market? And even if it is real equity trading, is it allowed in Malaysia?And also I am wondering is Bursa Malaysia involved when it comes to foreign stock trading with the local banks/brokerage you mentioned? I’ve never heard of etoro though. so no comment on that. I am not sure of who is actually governing the foreign share trading provided by the local bank. I think it should be the Bank Negara, not Bursa Malaysia. Your info for Alliance IB is not really accurate as you had left out pertinent details. In addition to the fees stated in your list, one need to add Alliance off-line/phone-in fees. Alliance IB foreign share trading are done off-line (i.e. phone-in, no online trading). Hi Anderson, thanks for clarifying that. if we trading ofline, ie through phone, are the fee still same, 0.15% ? Recently, I came across a forex trading acct where the foreign broker shares a portion of it’s brokerage fees with it’s cstmrs., as a result they are able to use a more conservative trading position, as they need not have to rely on big spread in pips profits, but rather than the share of the brokers commission. Can you comment on this ? I think a lot of FX trading platform is profiting from this in order to get their members to refer and close more sales. I don’t personally trade FX though, no trading for me. Fxunited is a scam broker. You should not fall for that commision sharing plan. This is a shame in fx industry. Newbie always fall for lucrative offer and then blame the whole industry when they are fucked.